The School of Social Science and Human Services (SSHS) focuses on how people think, interact, grow, and respond to society and the evolving standards in our communities. Social scientists seek to uncover facts about our culture, our society, and our environment. Our faculty are dedicated to exposing our students to creating a sustainable future, understanding the foundation of our laws and the impact of those rules, examining the whole of human society, understanding human cognition, emotion, experience, and behavior, and preparing students to work in a culturally diverse society. We approach the teaching of the social sciences through interdisciplinary, which results in our students being prepared to excel in any field. 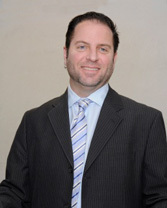 Aaron R. S. Lorenz, PhD. The 21st century has ushered a myriad of challenges including the collapse of local and national economies, ecological disasters and political turmoil throughout the global landscape. The challenges reveal a crisis of inequalities and call for a systemic understanding of interactions between natural forces, human activities, and the community. Research has shown that our vulnerabilities to climate change, poverty, political instability and warfare are inextricably connected to the way societies organize their social, economic, legal and political institutions. We conceptualize individual and social well-being based on the study and implementation of research in social organization. The social sciences provide individuals the conceptual ability and the tools to create social conditions that promote civic engagement, social justice, equality, and prosperity. The School of Social Science and Human Services provides students with the fundamentals for the understanding of social organization. Students who graduate from the School are equipped with the necessary tool kit to continue their professional development in the private, civic society, and the public sector. Their ability to reason, think critically, create and execute well-developed plans prepares them well for the challenges of the 21st century. The School of Social Science and Human Services (SSHS) enrolls over 1600 students in its degree and certification programs. We have 55 full time faculty and 50 part-time instructors who serve 6 majors, 8 minors, the Teacher Education Program, a Master of Science in Educational Technology, a Master of Arts in Sustainability Studies, a Master of Arts in Educational Leadership, a Master’s in Special Education, and a new Master of Social Work program. Professor Jillian Weiss, Law and Society, has been recognized as a national expert on issues of diversity and workplace discrimination and has been a consultant at the White House, Harvard University and international corporations. She is currently a Member of the Board of Directors of the national LGBT organization Lambda Legal. Professor Kristin Kenneavy, Sociology, published The Influence of Social Norms on Advancement Through Bystander Stages for Preventing Interpersonal Violence, 2015. Professor Henri Lustiger-Thaler, Sociology, published “Religious Revival in the Bergen-Belsen Displaced Persons Camp, 1945 – 1950” in H. Knoch & T. Rahe (eds) Bergen-Belsen Neue Forschungen, Gottingen: Wallstein Verlag, 2015. Behzad Yaghmaian, Sociology, published Embracing the Infidel, which has established him as a major voice in world dialogue on the Middle East. The paperback edition has been published in Iran and Italy. Professor Yaghmaian has been referred to and quoted in the New York Times, USA Today, interviewed on Nation Public Radio and a national radio station in the United Kingdom. Professor Mia Serban, Law & Society, published “Rule of Law Indicators as a Technology of Power in Romania,” in The Quiet Power of Indicators: Measuring Development, Corruption, and the Rule of Law, Sally Engle Merry, Kevin Davis, and Benedict Kingsbury eds., Cambridge University Press, 2015 and “The Exceptionalism of Housing in the Ideology and Politics of Early Communist Romania (1945-1965)“, Europe-Asia Studies 67(3), 2015. Professor Stephanie Sarabia, Social Work, has Pape, P. A., & Sarabia, S. E. (in press). Assessment and Treatment of Women with Substance Use Disorders. In S. L. A. Straussner (Ed. ), Clinical work with substance-abusing clients (3rd ed.). New York: The Guilford Press. Professor Nicholas Salter, Psychology, has Salter, N. P., & Liberman, B. (in press). The role of sexual orientation and gender on leadership perceptions. Chapter in the forthcoming book by T. Köllen (Ed.) Sexual Orientation and Transgender Issues in Organizations – Global Perspectives on LGBT Workforce Diversity. Springer. Professor Michael Bitz, Teacher Education, has Sturges, K., & Bitz, M. (Eds.) (in press). The Charter School Reader: Explorations of School Choice, Enterprise, and Community in US Education. Rotterdam: Sense Publishers. Professor Shaziela Ishak published Ishak, S., Franchak, J., & Adolph, K.E. (2014). Perception-action development from infants to adults: perceiving affordances for reaching through openings. Journal of Experimental Child Psychology, 117, 92-105, 2014. In all the areas of evaluation – teaching, scholarship, and community service – the School of Social Science and Human Services is furthering the mission of the College. The School of Social Science and Human Services creates an interdisciplinary learning environment grounded in experiential learning and active participation in community experience. Using social science perspectives, we engage our students in critical thinking about enduring and emerging issues of our world, including psychological, social, cultural, economic, political, legal and environmental dimensions based on principles of social justice and sustainability. The values of diversity, inclusiveness and international and intercultural understanding are integral to our process of life-long learning. Hours: Mon. – Fri., 8:30 a.m. – 4:30 p.m.